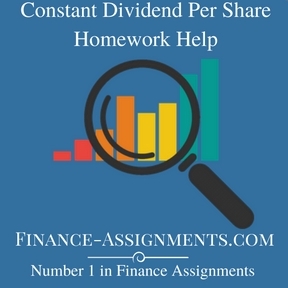 dividends per share are increased at the years when the earnings of the firm increase and it is expected that the new level of earning may be maintained. Of course, if the increase is expected to be temporary, the annual divide remains at the existing level. The relationship between the earnings per share (EPS) and dividend per share (OPS) with a constant dividend policy per year is shown in Figure. It can, thus, be seen that while the earnings may fluctuate from year to year, the dividend share is constant. To be able to pursue such a policy, a firm whose earnings are not stable two have to make provisions in years when earnings are higher for payment of dividends. Such firms usually create a reserve for dividends equalization The balance standing in fund is normally invested in such assets as can be readily converted into cash.